Is magic real? That is what Penny has to ask herself, when an ancient books reveals her destiny as a witch... When an elderly woman in Penny's small town dies, it's up to her to figure out who the killer is! This is a full length cozy mystery. Welcome to Hillcrest, a small box-canyon town snuggled high in the mountains of Colorado. It’s been Penny’s home for her whole life, and she’s always thought of it as a peaceful — if boring — place to call home. Penny is intent on finding out. She wants to save her failing PI business, get her love-life in order, and prove the police department wrong, all in one fell-swoop. But as Penny learns about her own witchy powers, things turn out to be a bit more complicated than she expected. This is the prequel to the Witches of Hillcrest series. 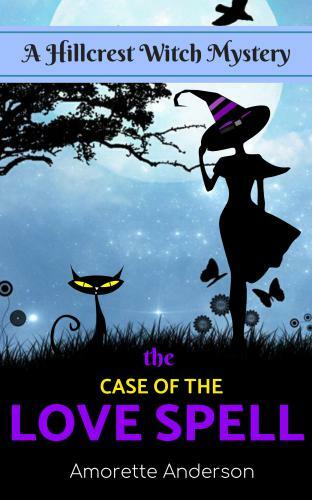 A full length, funny cozy mystery.